With Summer, comes along weddings, reunions, and soirees. Now, like many, you’d probably just put on a nicely pressed shirt, a jacket and patching pants. And maybe, spice it up with a regular tie know, just like everyone else within 1,000 miles of the party. Nothing wrong with that. Believe me. Now, if you do want to really, really, spice it up and call attention to yourself; an Eldredge tie knot is the way to go. First, let’s start with a short history lesson. The Eldredge tie knot was invented by Jeffrey Eldredge in 2007, and I’ve been proudly wearing it since about 2010. And tying my own version, since 2014. Now, my version accentuates the lower middle portion of the knot, as seen in the photo below. The Original Eldredge knot only has a small portion of this visible – but hey, that’s just me and that’s how I like to wear it. Remember, tie knots are like everything else that you wear. You make it your own. Be you boo! 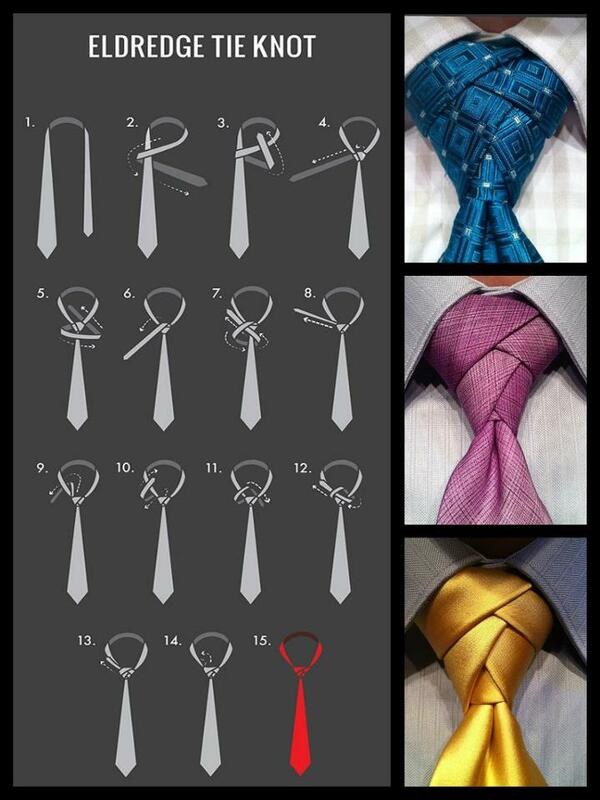 Now, here are the directions and pictorial of how to make and Eldredge tie know. – the Eldredge tie knot is achieved by using the small end to do all the figures, etc. Once finished, the end is hidden behind the shirt collar – I like this part, but you need to be careful! If you don’t start right, you won’t end up right and have too much or too little at the end to make the proper knot. Now, the photos below, are not of my version of the Eldredge tie knot, but I want you to see how it is officially made. You can later do like I, and make your own style of it. 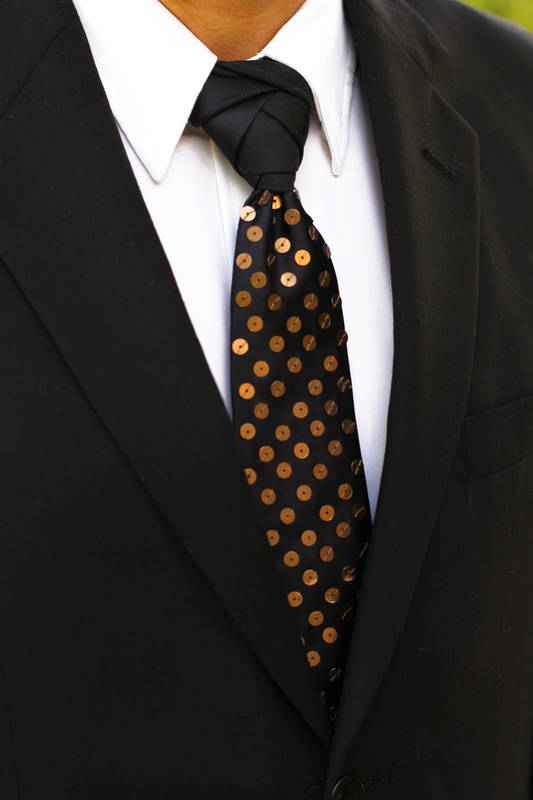 When you’re finished, the tie knot creates a tapered fishtail braid-like effect. This is not a knot for starters, as it requires two full hands, and all 10 fingers, to accomplish a dapper look. It always works better if the tie fabric has some stiffness or denseness to it. If it’s soft or gentle, it just wont hold the knot as easily. 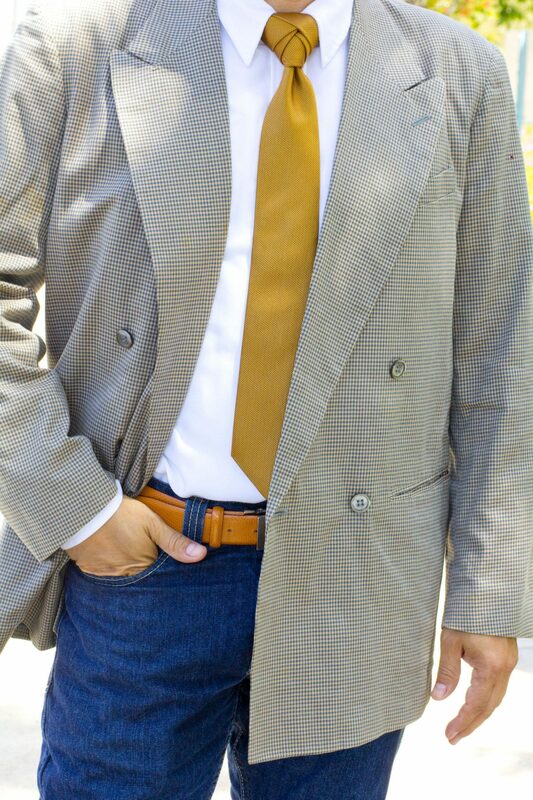 Please follow me on Instagram @DouglasLagos for more menswear fashion inspiration.